In a widely expected advance that has opened a fierce debate about “home-brewed heroin,” scientists at Stanford have created strains of yeast that can produce narcotic drugs. Until now, these drugs — known as opioids — have been derived only from the opium poppy. But the Stanford laboratory is one of several where researchers have been trying to find yeast-based alternatives. Their work is closely followed by pharmaceutical companies and by the Drug Enforcement Administration and Federal Bureau of Investigation. Advocates of the rapidly advancing field of bioengineering say it promises to make the creation of important chemicals — in this case painkillers and cough suppressants — less expensive and more predictable than using poppies. In one major advance more than a decade ago, scientists in Berkeley added multiple genes to yeast until it produced a precursor to artemisinin, the most effective modern malaria drug, which previously had to be grown in sweet wormwood shrubs. Much of the world’s artemisinin is now produced in bioengineered yeast. But some experts fear the technology will be more useful to drug traffickers than to pharmaceutical companies. Legitimate drug makers have steady supplies of inexpensive raw materials from legal poppy fields in Turkey, India, Australia, France and elsewhere. For now, scientists and law enforcement officials agree, it will be years before heroin can be grown in yeast. The new Stanford strain, described Thursday in the journal Science, would need to be 100,000 times as efficient in order to match the yield of poppies. It would take 4,400 gallons of yeast to produce the amount of hydrocodone in a single Vicodin tablet, said Christina D. Smolke, the leader of the Stanford bioengineering team. But the technology is advancing so rapidly that it may match the efficiency of poppy farming within two to three years, Dr. Smolke added. An F.B.I. spokesman said the agency was aware of the potential for work like Dr. Smolke’s to be exploited by criminals, but would become concerned only when the technology was advanced enough to be ready for commercial use. Dr. Smolke’s team inserted 23 genes — bits of DNA from plants, bacteria and even rats — into yeast and coaxed it to produce enzymes that converted sugar in steps into thebaine and hydrocodone. 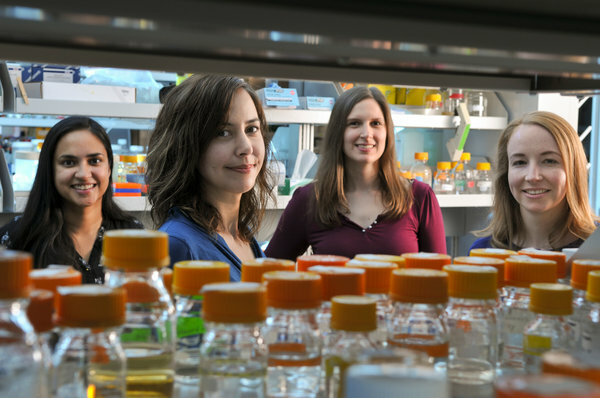 It was “the most complicated chemical synthesis ever engineered in yeast,” she said. Thebaine can be converted into oxycodone, the pain reliever in OxyContin. Hydrocodone is a pain reliever often paired with acetaminophen in pills like Vicodin. Kenneth A. Oye, a professor of engineering and political science at M.I.T. who has raised alarms about the dangers of bioengineered opioids, said he was glad that, as a safety measure, Dr. Smolke’s lab had not produced morphine, another opiate that is found in poppies and can be easily refined into heroin. In May, Dr. Oye and others wrote a commentary in the journal Nature saying that drug-regulatory agencies were ill-prepared to control an emerging science that might benefit drug smugglers more than legitimate drug makers. Poppies are crossbred and genetically manipulated to produce higher drug yields. They are legally grown for the pharmaceutical industry in several countries under quotas overseen by the International Narcotics Control Board. They are also grown for the illegal opium and heroin trades in Afghanistan, Laos, Myanmar, Mexico and elsewhere. Because the fields and refinement labs must be heavily guarded and the drugs smuggled, production costs are very high. If traffickers could brew heroin clandestinely inside the United States or Europe, where most heroin is sold, those costs could be cut. Although Dr. Smolke’s strains began as common brewer’s yeast, the idea that opiates can be brewed with the same cheap equipment that amateurs use to make beer is untrue, she said. The process is complex and delicate. Her team took the yeast used to produce thebaine and grew it under typical home-brew conditions, she said, and found it produced no opioids. In defense of her work, she said that millions of cancer victims, accident victims and others in pain around the world had no access to pain relief. Experts in palliative care say that is true mostly because governments and doctors are afraid of creating drug addicts, however, not because the drugs are expensive or hard to make. Dr. Smolke also argued that her lab’s yeasts could be tweaked to produce new chemicals that poppies do not, and that those might become safer painkillers, new cancer treatments or other useful products. Dr. Oye has argued for more safeguards. For example, he said, drugmaking yeast strains could be manipulated to grow only under certain conditions or with certain added ingredients that could be kept secret. “Watermarks” of silent junk DNA could be inserted so any strains found in illegal laboratories could be traced to their sources.